I modeled the truck in Hexagon 3D ver 2.5. Texturing and rendering was done in Vue Complete ver 9.0. The truck was further detailed and weathered in Artrage Studio Pro ver 3…. 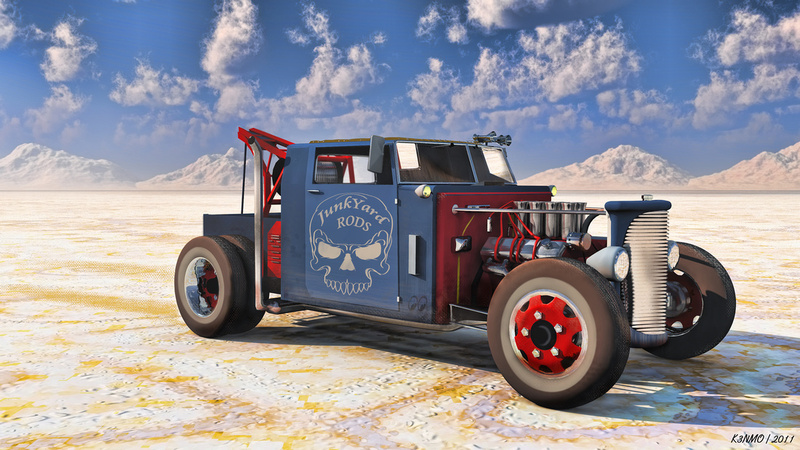 Very cool, it's a nice mix of classic tow trucks vs rat rod. If I were you I would have nicknamed it "Tow Rat", since that's the first thing that came to mind when I saw it. How long did it take you to make it?